In our most recent featured video, Developer Evangelist Fokke Zandbergen demonstrates how to make the activities and content of your apps searchable via Spotlight, Safari and Siri using new APIs introduced in iOS 9 and exposed by Titanium 5.0. 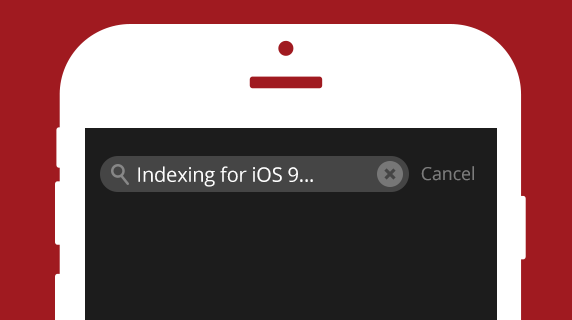 Spotlight search on iOS 9 gives you complete control over indexed content, the content shown in search results and where to direct a user who clicks on those results. Strategically indexing activities and content will improve your app’s ranking in search results. It also opens up new possibilities for user engagement by allowing people to interact with an app’s content when performing a search. Additionally, Spotlight search is a valuable tool for boosting app discovery because indexed information is searchable even if the app isn’t installed on a user’s device. For a tutorial on how to index app content, check out our iOS 9 app search sample app and the video demonstration below or on App U. We also recommend reading through our Spotlight Search Guide and Apple’s App Search Programming Guide for more information.